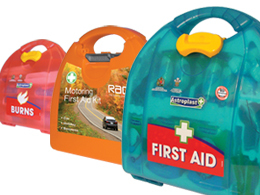 Accidents can occur anywhere, and this Large Body Fluid Kit allows you to safely respond to accidents involving body fluids. This product complies with regulations regarding the safe cleanup and disposal of body fluids, including those that are HIV or Hepatitis B positive. Your Kit will contain two canisters of absorbent powder, two aprons, four bonded wipes, disinfectant spray, two disinfectant wipes, two disposable bags, two oversleeves, two scrapers, a pair of gloves, and a sharps disposal kit. What is the Purpose of the Large Body Fluid Kit? Your Large Body Fluid Kit is designed to help you safely and confidently deal with accidents and illnesses involving body fluids. Your kit contains enough supplies for your office to deal with a wide variety of situations involving body fluids, even those that might be HIV or Hepatitis B positive. This product should be stocked by all workplaces or public spaces to respond to accident or illnesses that involve body fluids. 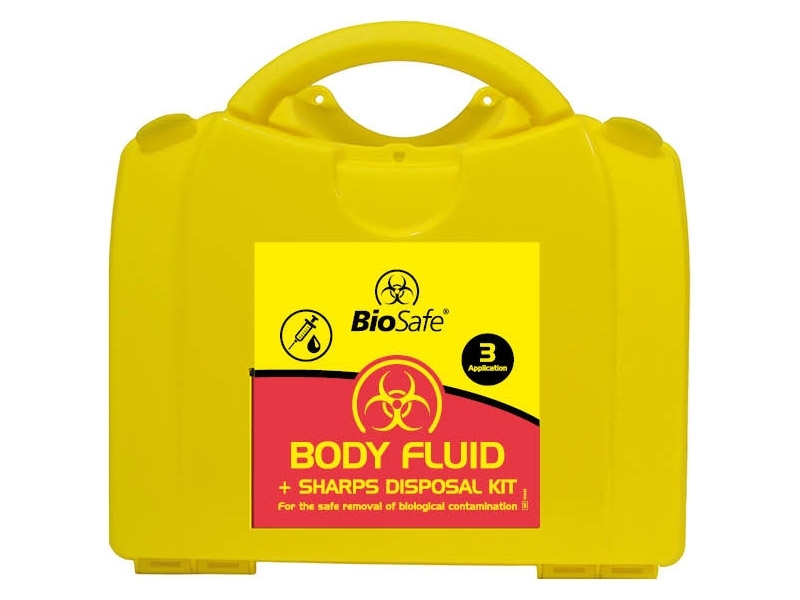 The Large Body Fluids Kit might be used by any authorised person at the scene of an accident or illness involving body fluids. It should be stocked in a visible location. There is one model of the Large Body Fluids Kit. It features a yellow plastic storage case and contains the items listed above. This kit meets all legal requirements for offices. This product comes with a standard 1-year parts/labour warranty.